The holiday season means that is is again time to get out and start getting the gifts for the special people in your life. There always seems to be something going on during the holiday season, so shopping can be pushed back and back. Fortunately, there are great gift ideas available for everyone on your list. Following a few simple guidelines will help you check the names off you list with ease. 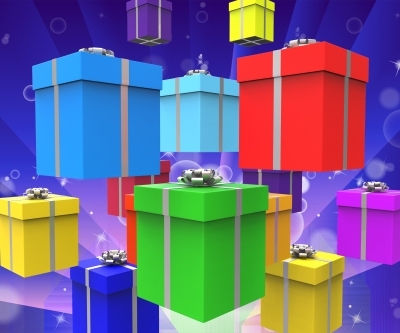 The first thing that you will want to do is consider who you are buying gifts for. You know that older adults will have different desires than younger ones. Your spouse will be getting something different than your sibling. There is bound to be a large group of people on your list, so splitting them up by similar gift ideas should be able to help you save some time going to the store or the mall. Think of specific gifts as well as general ones. Everyone appreciates cash or gift cards, but taking a little extra time to get a gift that they will use and enjoy shows you went the extra mile. If you have someone you know that is a fan of beauty products, you might consider a new makeup set or a few sessions of Botox. A big sports fan may appreciate a new television that comes equipped with a season pass to watch their favorite sport. Music fans will enjoy tickets to the hot concert in town. Whatever it is, you can find something for everyone on your list. If you are buying gifts for children then you will want to consult with their parents first on what would be acceptable. Children usually want a lot of items and generally have a bunch of adults giving them gifts, the last thing that you want to do it double up on them! Parents may also want to limit how much you spend on their child. Even if you mean well, some parents just aren’t comfortable with their children having extravagant gifts. It’s always best to defer to their judgement and wishes when shopping for children. The holiday season is about more than gifts, but it never hurts to give them. Spread a little cheer this holiday season with the gifts that everyone wants. This entry was posted in Gift ideas, Occasion and tagged gift giving, gift ideas on November 23, 2016 by Mommy Yam.